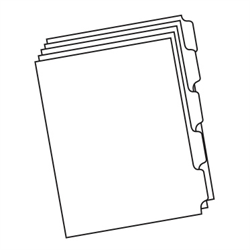 Copier Tabs are blank index dividers that allow you to create custom printed tabs with your tab-capable, high-speed printer or office copier. 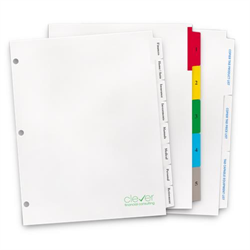 Offered in a variety of finishes, Cortech's Copier Tabs create professional customized presentations. Produced with accurate collation and clean, dust-free edges for efficient printing, our Copier Tabs are protectively packaged to ensure they arrive in pristine condition. 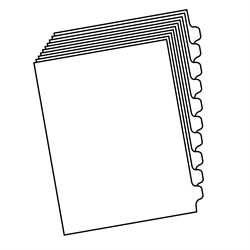 Copier Tabs are perfect for sales presentations, legal documents and files, medical records and charts, hotel manuals, price books and more. 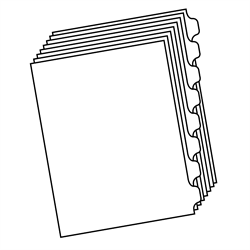 Order your Copier Tabs today.